Veteran Russian politician Yevgeniy Primakov has announced plans to quit politics and dedicate himself to academic work and his memoirs. 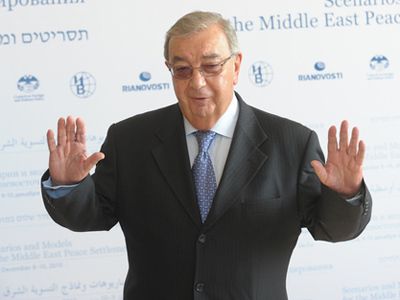 ­The 80-year old Primakov is currently the head of Russia’s Chamber of Commerce and Industry. At a press conference on Monday, he announced his decision not to put forward his candidacy at the next election set for March. “Two terms have passed and I think that is enough”, Primakov told the press. He has headed the chamber since December 2001. The head of the chamber also reminded reporters that initially the elections in question had been scheduled for the year end but after receiving a recommendation from the Russian president’s administration, it was moved to an earlier date. He said the reason behind that was the desire of the administration to concentrate on parliamentary elections that are also due at the end of the year. However, last December, Vedomosti forecasted that Primakov would quit his post in March 2011 and put forward a different reason for this. According to the paper, the Russian president’s administration wanted to modernize the Commerce and Industry Chamber and bring this body more in line with the international standards. The paper also said then that Primakov’s most likely successor on the post was the current head of the Foreign Intelligence Service Mikhail Fradkov, but on Monday, Primakov said that he did not think that Fradkov would take part in the elections. While the personality of his future successor is an interesting and important issue, the very fact of Primakov’s retirement from politics is probably more important as he witnessed and influenced the forming of the whole modern Russian political system while holding all sorts of posts – in parliament, government, intelligence service and lately in business – with the Chamber of Commerce and Industry. In early stages of his career, Primakov worked as a journalist and political scientist but despite taking rather high positions in both fields, the occupation could just be a convenient cover-up for intelligence work. At the same time, Primakov made a political career first in the Soviet Union (rising as high as the candidate for the Political Bureau of the Central Committee – the supreme body of the CPSU) and then in the Russian Federation. As the Soviet Union collapsed, Primakov, who was a deputy in the lower house of the Soviet parliament – the Supreme Soviet, launched himself into new politics and with great success. In 1991, he became the head of the first directorate of the KGB and soon after that headed Russia’s Foreign Intelligence Service. Primakov remained at that post for 5 years and in 1996 returned to politics when President Boris Yeltsin appointed him Foreign Minister. In 1998, he was promoted to the post of Prime Minister. At that stage in his political career, Primakov made his most famous decision – on March 24, 1999, Primakov was on an airplane heading to the US on an official visit, when news broke that the US Air Force carried out air strikes on Russia’s ally, Yugoslavia. He canceled the trip and ordered the pilots to turn the plane and return. The move received a lot of criticism both from abroad and from liberal circles in Russia. However, when performed by Primakov the gesture was neither eccentric nor unexpected – the man has always been an advocate of the multi-polar world and some say he was initially the mind behind the whole concept of building a new alternative to US-dominated politics of Trans-Atlanticism. While being the most conspicuous point in Primakov’s political career, turning around the official aircraft was possibly also the pinnacle, followed by a steady decline. 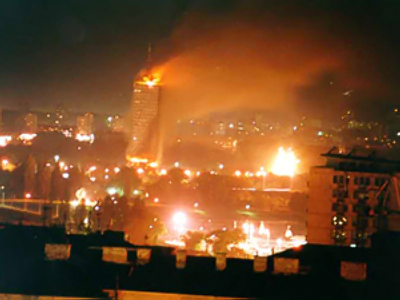 Just two months later President Yeltsin fired Primakov from the Prime Minister’s post, despite the public’s disapproval of the move. It might have been a part of Yeltsin’s generally hectic staff policy that helped the first Russian president to stay in power, but it also could have been a move to restrain a powerful political competitor. After his dismissal, Primakov worked in the lower house of the parliament and then took on his most recent post at the Commerce and Industry Chamber occupying it for the last nine years.